The airline has won a case against a site that used its URL. RYANAIR HAS WON a case against a website that used the word ‘Ryanair’ in its URL. It has advised customers to book directly on the Ryanair.com website, saying that ‘screenscraper’ websites have led to missed flights and repeated problems for customers. The airline said today that it welcomed the recent Regional Court of Hamburg’s (Landgericht Hamburg) judgement against eDreams, ordering it to refrain from using the subdomain Ryanair.eDreams.de and also from using the same term as a subdomain in Google Ads. Ryanair said that the Court also directed eDreams to pay compensation for trademark infringement. It “ruled that eDreams use of the subdomain “Ryanair.eDreams.de” wrongfully suggests to customers that eDreams itself is Ryanair,” when there is no commercial relationship between the website and Ryanair. 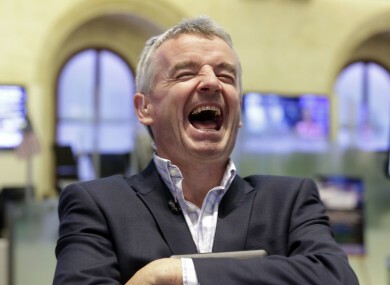 Ryanair said it has been engaged in several legal cases against screenscraper websites across Europe “to prevent its customers from being subjected to extra charges and to ensure Ryanair has appropriate contact details to communicate with its customers”. It says that many of these websites cause problems for Ryanair customers, saying that they often fail or refuse to pass on vital information to both passengers and Ryanair regarding issues such as flight changes, web check-in, special needs assistance and contact details. Email “Ryanair says beware of 'screenscraper' websites that use its name to sell flights”. Feedback on “Ryanair says beware of 'screenscraper' websites that use its name to sell flights”.